The new year always starts off with such incredible motivation and energy. I set goals--I focus on a plan--and really see some progress. For a few weeks. Then--life starts to chip away at my drive and energy with its demands. Sick kids, an over-scheduled week or weekend, appliance or auto issues (or both), a sleepless night or two, a weekend (or a week) of unhealthy food choices. Then, it happens: I lose momentum. Maybe not totally--but, certainly, with enough significance that the slowdown is noticed. That momentum loss is so discouraging! It can also snowball me backward down my goal paths so much faster than my initial, forward momentum had brought me! What do I do to keep moving forward? 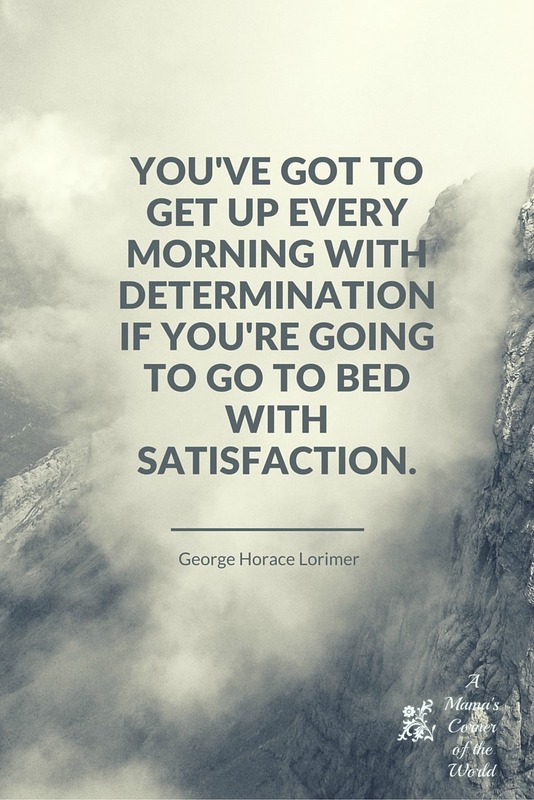 Today--my Monday Motivation thoughts are all about determination. I need to summon every bit of my determination to push through that back-sliding snowball! I want to accomplish my goals--so I cannot be derailed a few stumbling blocks tossed into my path. I have had, literally, one smooth week since January 1st. The others have been ridden with sick children, a misbehaving washing machine, and an unpredictable schedule. 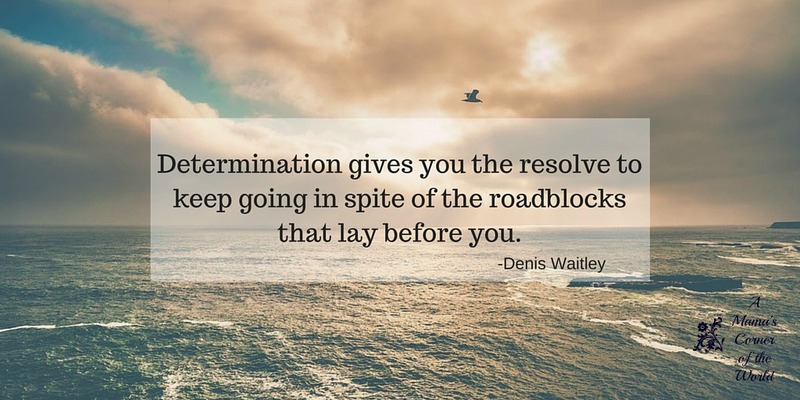 If I'm going to move forward--I need to find that determination and drive to push past some roadblocks and keep moving in a positive direction! I wake up really (really) early so that I can get my head in the game before the family is up and running in their many different directions. Most mornings, I only have 30-45 minutes to plan my day, read, reflect and focus my energy--but, if I skip that early morning focus time--my day meanders and I lose direction. I really do find that I if I wake with determination and set a positive course, my day flows toward a successful ending. Every moment of the day may not be positive and successful--but, it has an overall successful, positive feel at its end! Rather than getting discouraged and feeling defeated by life's ups and downs--I need to remember that today is a new day. Every day. If I stay strong and determined to reach my goals--I think the hardest part of my daily battle is won! Growing up, I was told again and again, that "a man can do anything he sets his mind to do". I used to take that to mean that we can do anything--realistic or not--in spite of natural talent or ability--and I was never sure that this was really possible. 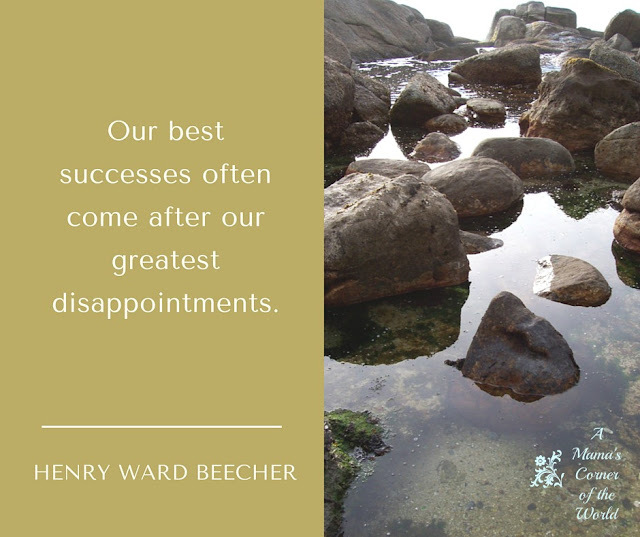 I think, instead, it meant that if you stay driven, stay determined, and keep trying--you will find some level of success toward a goal. So--today--I am working on re-setting my mind to accomplish a few different goals--in spite of a few stumbles and missteps! Moving forward, on this new day, with determination to succeed.